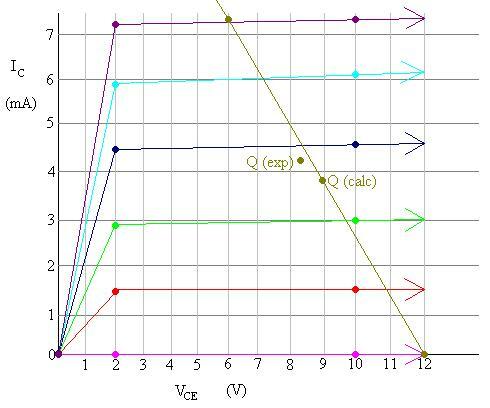 The objective of this lab is to use a curve tracer to measure transistor parameters. Another objective of this lab is to construct and test base bias and voltage divider bias circuits. 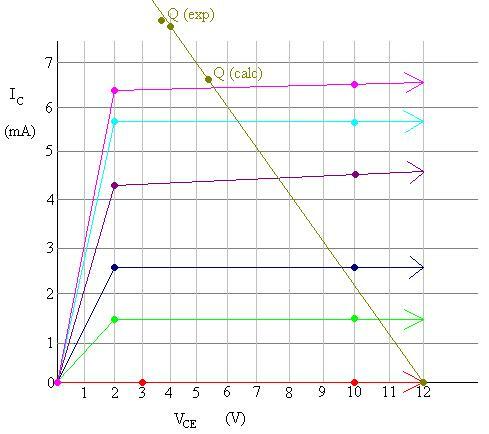 Then to observe the effect of b on the operating point of the test circuits. 1) Set the peak voltage range switch to "low (20V)," and the comparison switch to the center position. 2) Power the curve tracer and warm it up for about 5 minutes. 3)	Insert one transistor into each socket of the tester. 5)	Switch the transistor switch to `A' and increase the peak voltage until a good reading can be taken. If needed, fine tune the intensity and focus. 6)	Adjust the controls so the trace is on the lowest division of the screen. 7)	Hold the zero current - zero volts switch in the zero current position and further adjust the the position controls to set the trace aligns with the bottom horizontal. 8) Use the step zero control to further make the first trace coincide with the lowest division and to ensure that each step is an increment of 10mA. 10)	Increase the peak volts so that at least the first three traces extend the full width of the display. 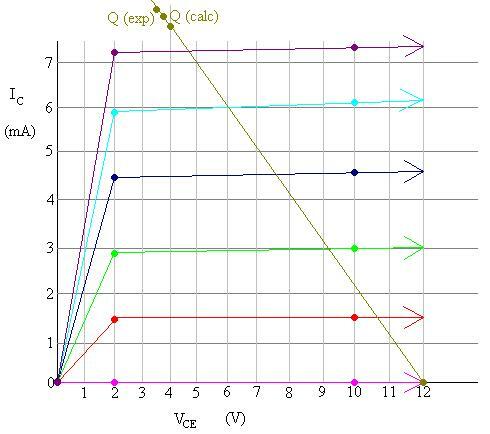 2)	Q:	Draw the load lines and show the Theoretical and actual Q points on the graph for circuit 2. 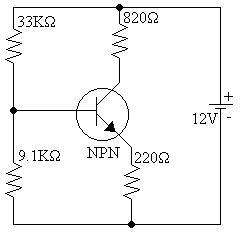 A:	In both circuits, the Q points are extremely close, but they are not exact. 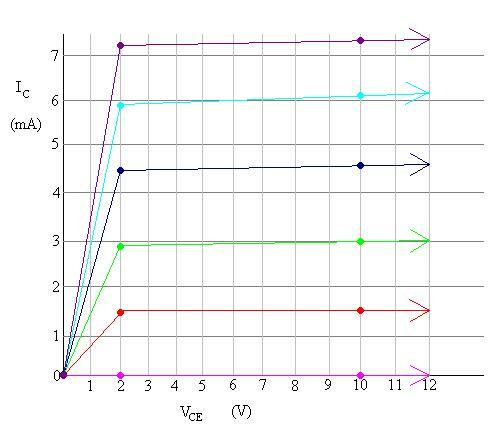 4)	Q:	Plot the load line and Q points for circuit 3. 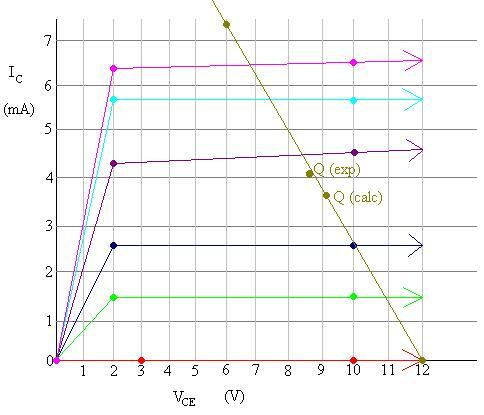 5)	Q:	Compare the theoretical Q points and the experimental Q points. 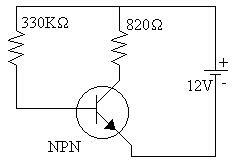 A:	The Q points for transistor 2 are much closer than they are for transistor 1 but they seem closer together than they are for schematic 1. 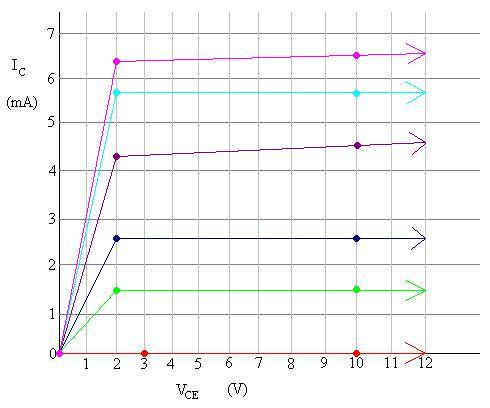 6)	Q:	Compare the operating stability of the two circuits. A:	From the data shown, it appears that circuit 2 has a more stable operation than circuit 1 because the actual Q points and the calculated Q points are closer together. From this lab it can be seen that the effects of a different b can be lessened by the construction of the circuit that uses the transistor.